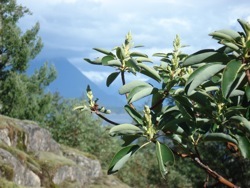 If you love Tree poems or if Arbutus, Madrone, Manzanita or Yew trees are your favorites, then check out these poems! You have magic about thee. Your twisted shapes inspire me! You reach for the sun yet ride storms with ease. You shed your bark again and again! Your cycles amaze every time! You have truly blessed me! 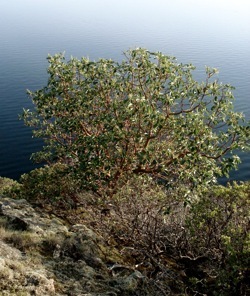 Manzanita Tree Oh So Sweet! 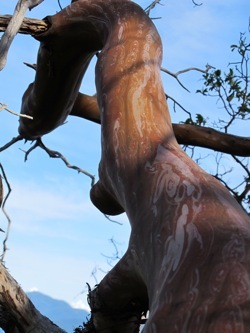 Manzanita branches such a treat! Always looking just so divine! Manzanita, you transform wood oh so red! 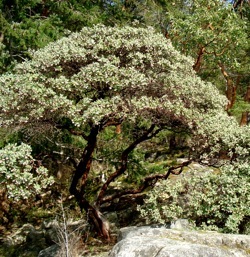 Manzanita, you do turn heads! Or wedding stands and notions. Working with you I never dread! I think I'll never move. 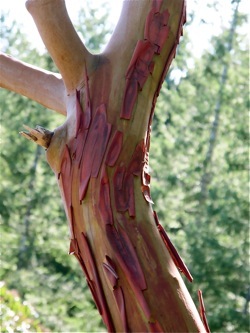 Oh what a tree that Madrone tree! Every time, I feel a sense of glee! My friend Ron Trainor wrote many poems. He was a natural poet. He wrote this poem for one of my Arbutus wood products... my West Coast Whale Knife. 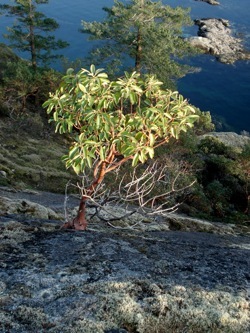 The Arbutus tree was certainly his favorite! He was always so amazed by its shapes and the incredible beauty and variety of its exotic hardwood revealed in the wood crafts for sale that I made. Adding richness to your daily life! This view below always thrilled my buddy Ron! 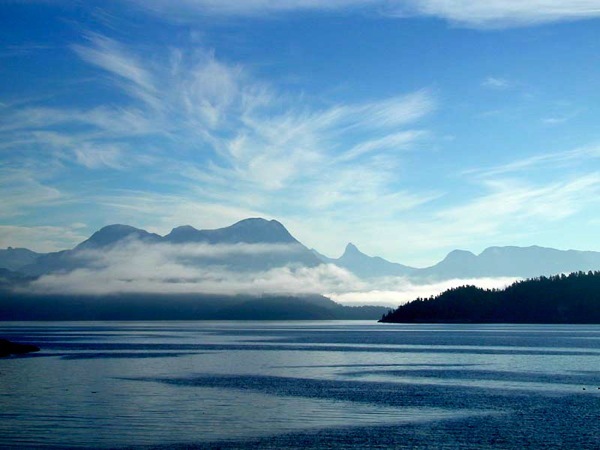 ... Mt Denman at the end of Desolation Sound BC. That's Kinghorn Island in the foreground on the right. is a delinquent racoon penal colony! Do You Have any Tree Poems to Share? It would be great to see here one of your tree poems! Then we could all have a wonderful selection of them to read in one place. It's easy to do and lots of fun! And you'll have your own web page to send friends and family to check out. Your poem will appear on a Web page exactly the way you enter it here. You can wrap a word in square brackets to make it appear bold. For example [my story] would show as my story on the Web page containing your story.